Sorry if I haven’t posted up anything yet, but I can’t wait to show you this new native artist from California. I promise you will love her stuff. She’s currently working on a project right now, but after next month I’ll post new pictures of what I had her commissioned to do! 🙂 In other news, Native Max Magazine is looking for a host to for their upcoming NativeMax TV. This will be a great opportunity for those who are interested in expanding their resume in media. There are a few requirements they are looking for. Check out their Instagram or Facebook. 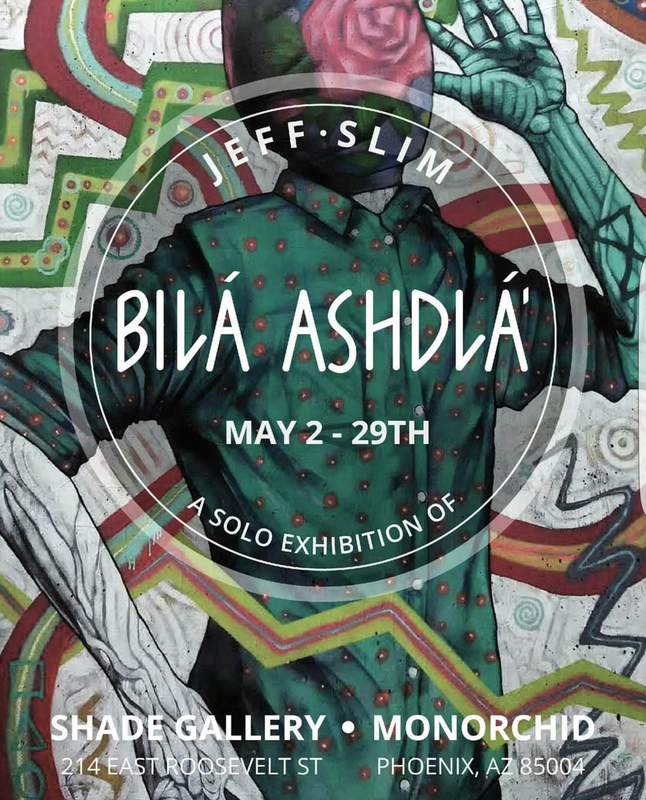 Also, visit Jeff Slime aka TheElectricKitchen ‘s solo exhibition in Phoenix, AZ.